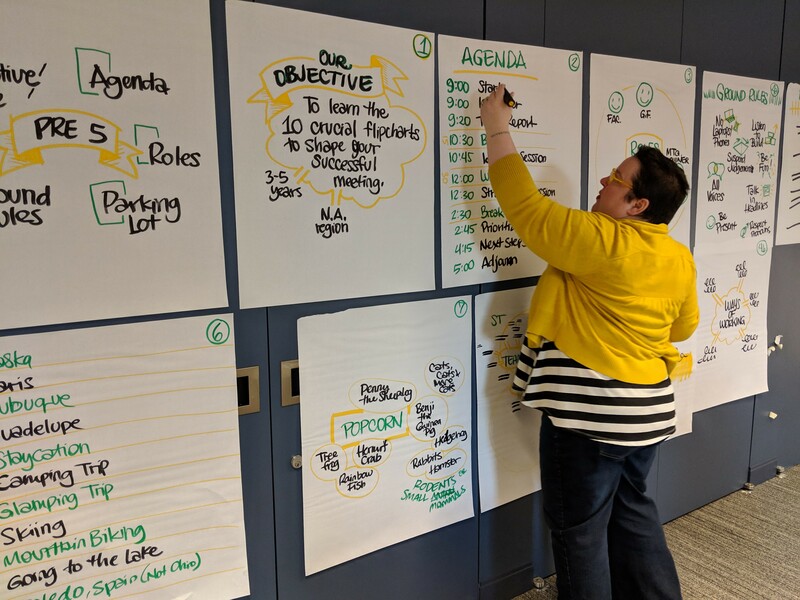 How can I continue to use large-scale visual note-taking to channel my passion for helping people enjoy meetings more, and increase the value clients receive when they hire me? Give me all the carbs: Flying in the face of the keto fad, can I eat healthfully and cheaply by making beans taste delicious? 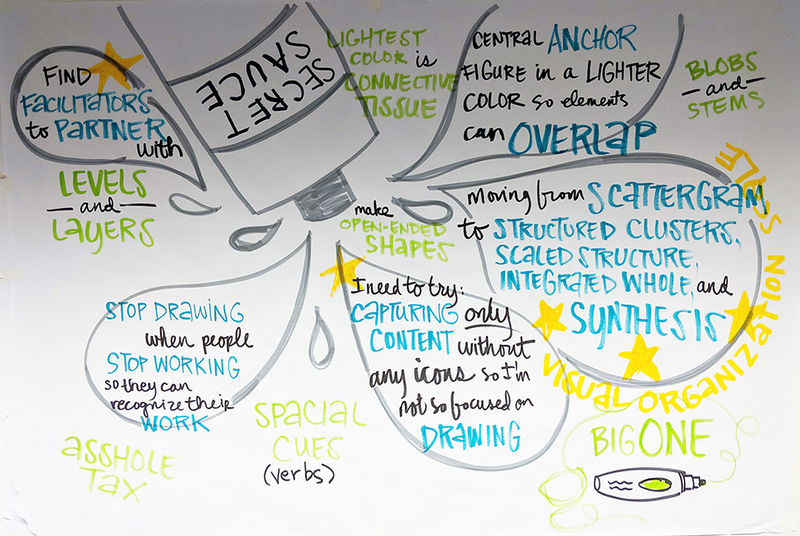 As a graphic recorder, I practice large-format visual-notetaking of conversations and information shared during a meeting or presentation. 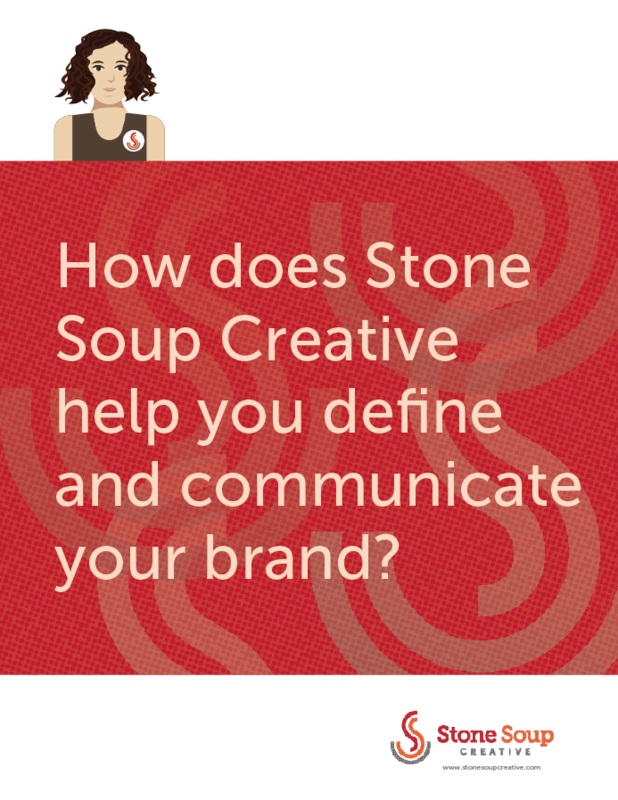 My goal is to help individuals and groups by taking complex ideas and simplifying them with bold, bright visuals that capture themes and make connections. When people see me draw what they’ve said, it helps them feel listened to and thus helps them engage more fully in what’s being said in the room. I have a passion for this work and want to ensure my clients receive plenty of value from bringing me into their room to share in their process. Craftsmanship: improve my listening, thinking and drawing skills. I seek progress, not perfection. Facilitation: establish partnerships with professional facilitators who design and run meetings and workshops. Co-facilitate with them. Cultivate my own facilitation skills. With this in mind I went to an immersive three-day workshop the first week of January in Chicago called loosetooth.com Lab with Brandy Agerbeck. 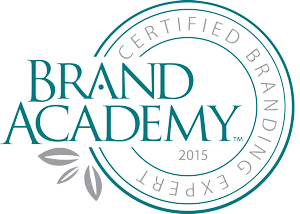 Brandy is one of the leading thought leaders in the field, which comes from her 22 years of professional experience as a graphic facilitator, teacher, speaker and author. 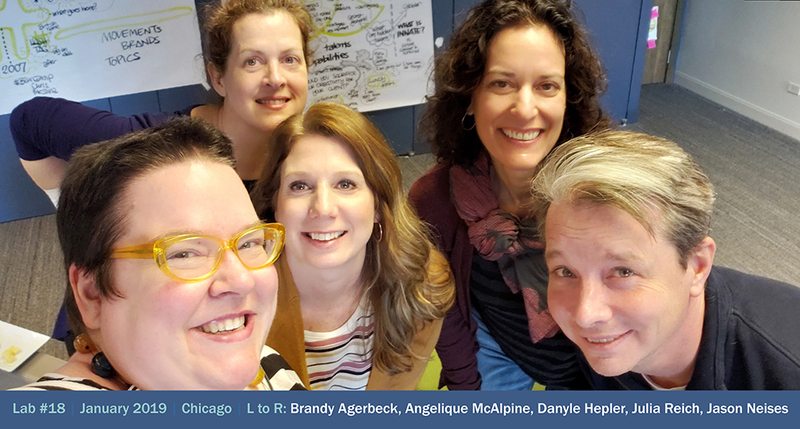 As a solopreneur the opportunity to connect with the region’s leading visual practitioner and other people learning and practicing graphic recording/graphic facilitation is rare, especially when you live in a small midwestern city as I do. An easy drive from central-west Indiana, how could I not participate? Along with three other students, we immersed ourselves in visual thinking concepts, deep conversations, and hand-on visual practice. We munched on Garrett’s popcorn and gave each other little gem doodle pins when someone said something especially insightful or delightful (both provided by Brandy in our Lab goody bags). 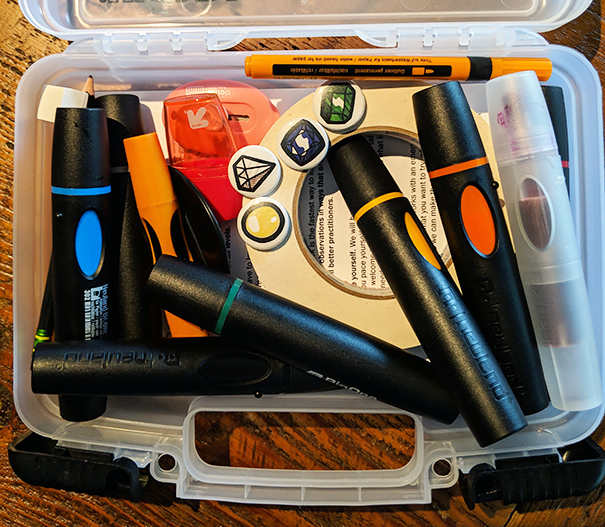 This Neuland marker kit was part of the goody bag we got as Lab participants. See the little gem pins? I experimented with drawing tools and drawing exercises, and became familiar with a variety of visual thinking methodologies – including Brandy’s eye-opening (*see what I did there) Visual Organization Scale – which allowed me to look at my work and others’ with a newly-trained critical eye. The Lab provided me with valuable insight into where I need to focus my efforts regarding craftsmanship and facilitation, and placed me smack dab on the path to becoming “a better facilitator, thinker, communicator and problem solver.” I’m excited. 2019, the year I turn fifty. Bring it on! One final note: if you’re interested in learning how to listen, draw and think like Brandy does – but don’t want to travel to Chicago – check out some of her online courses, like The Agerbeck Method and Draw in Your New Year (affiliate links). The bean seed was planted with an interview I read in Outside Online, Life Tips from Happiness Expert Dan Buettner, who is something called a National Geographic fellow. (When asked to provide a job description, Buettner says, “I make complex ideas simple.” Since that’s also something a graphic designer, branding expert and graphic recorder might say, I decided there was some legitimacy to this guy). Challenge accepted! This American wants to make beans taste good. 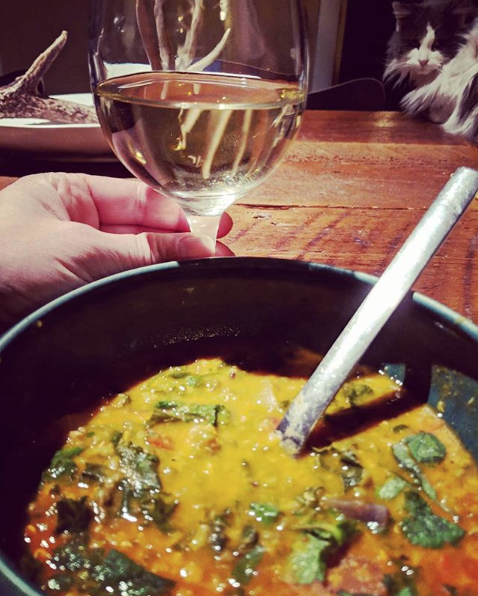 I’ve been cooking ordinary black beans in the slow cooker for some time and they’re delicious, but it’s 2019 now people, and time to up my game, starting with this deliciously successful Mung Bean and Kale Stew recipe from the Minimalist Baker (my favoritist food blogger since none of her plant-based recipes has more than 10 ingredients). 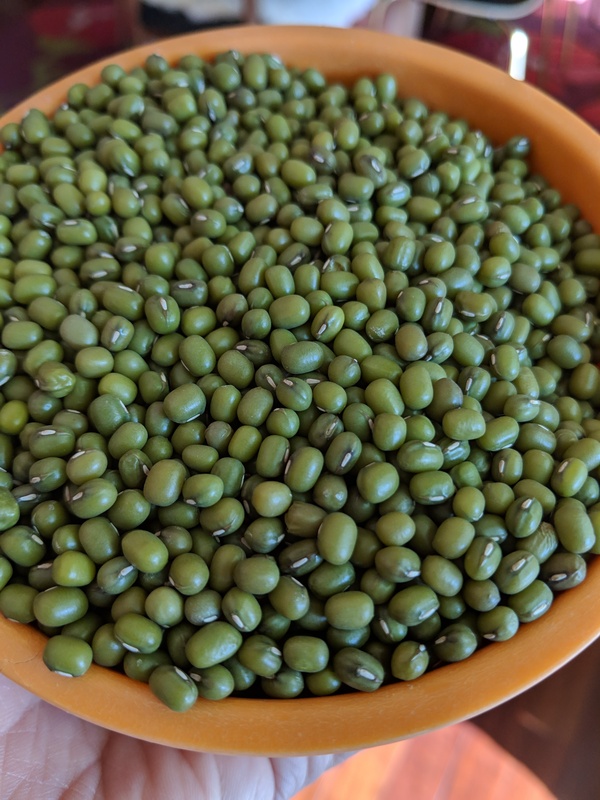 As far as I know I’ve never consumed a mung bean, but they are cute little, oblong-ish legumes in a lovely avocado-olive shade of green; the minimalist baker calls them “kind of magnificent”. Nom.